So, it’s the last in the trilogy by Veronica Roth. I had the date in my (virtual) calendar for months. And, well, I was disappointed. I can safely say that Divergent is one of my favorite books. I’m not saying that lightly, because I am a huge bookworm, as I’m sure you’ve gathered. Divergent went past The Hunger Games. It was right up there with my all time favorite books, the ones I reread countless times. I got the collector’s edition of Insurgent while I was anticipating Allegiant. I spent all my spare time on Veronica Roth’s blog looking for quotes, hints, anything for Allegiant. On the 22nd, the release date, I went out first thing and dragged my poor mom to six or seven bookstores looking for it. I finally found it and read it all, that night. I really sympathize with Veronica Roth. She had a deadline. She had all these readers, waiting. But I was reading the Amazon reviews for the book a few minutes ago, and it’s quite sad to see that a lot of people agree with me: the book really isn’t as good as we all hoped. In the couple of days that followed, I tried to convince myself that I loved it. I really, truly did. And I was all set to write a great big load of praise for how amazing the book was, and I wish I could! But I realized, yesterday, that I was trying to convince myself because I spent so much time waiting for it. The books were split onto Tris and Tobias’ POV, right? And, well, if you’re reading this bit I’m assuming you’ve read the ending: so it’s safe to say this was needed unless we wanted to end on the note where Tris dies. But, and this is just my opinion: you couldn’t differentiate between the two. It became confusing. I had to go back to the start of chapters to remember who this was, because it all sounded like Tris! I mean, each character should have it’s own sense of identity, right? If you look at Noughts and Crosses: it’s in different POVs. But you can tell, just by each character’s manner of speech, who it is. But here? I couldn’t tell, and it became irritating(I can tell this is going to be one of my longer posts: there’s so much to say). And, well, this whole “outside the fence” world…I was hoping for something really different, something that would kick start the real plot. I was hoping for some of the danger, some of the beauty of the other books – some of the perfect moments that make it Divergent. I felt like the whole book was a filler. I was bored, for crying out loud. And I think I was hoping, the whole way through, that this wasn’t all the book was going to be. Tris is supposed to be from Abnegation. In Divergent, we see her slowly letting go of that in “Somewhere inside me is a merciful, forgiving person. Somewhere there is a girl who tries to understand what people are going through, who accepts that people do evil things and that desperation leads them to darker places than they ever imagined. I swear she exists, and she hurts for the repentant boy I see in front of me. She is Abnegation through and through; and in Divergent, there’s so much ‘bravery and selflessness are the same thing’ that the transition from Abnegation to Dauntless is smooth. Come Allegiant, suddenly she’s overbearing and she’s not the Tris I grew to adore. And the book felt boring because when out-of-character-Tris and sounds-the-same-Tobias weren’t arguing, there were more bad rebellion ideas that they still went along with. And Tori: her death felt so…insignificant. I didn’t feel anything until we met her brother. Deaths…sometimes they’re necessary. They happen. They happen in Noughts and Crosses with Callum. They happen in Harry Potterwith Fred and Tonks and Lupin and so many others. They happen here, but I felt Tori’s was unnecessary. Uriah’s, I think, was the only one that worked for me. Uriah’s death broke my heart. And that brings me onto the biggest part of this review…Tris. She is- was our main character. To quote Divergent…”that is death – shifting from is to was.” And, well, I think this was the most horrible way to end the book. Oh, she wrote it well. The way her mother appeared…and you can finally see why Tobias’ POV was needed. But I don’t think she really needed to die. Her and Tobias fought so much; it was the kind of relationship that needed to end with ‘We were broken, but we were perfect.’ They had such a broken relationship that it needed redemption. But there never was any. The rest of it, considering what had happened, was beautiful. That, I think, was the only return to the Divergent I knew and loved. After Tris died. And I think that’s really quite sad. The inter-faction war has started and the country is in chaos. Tris, Tobias, Marcus and some other members of Abnegation are on their way to Amity Headquarters to try and find refuge from the battle. They soon reach Amity, and are told by their faction leader that they can stay in Amity for as long as they wish, as long as they give up all of their weapons and not start fights. Tris and Tobias agree. 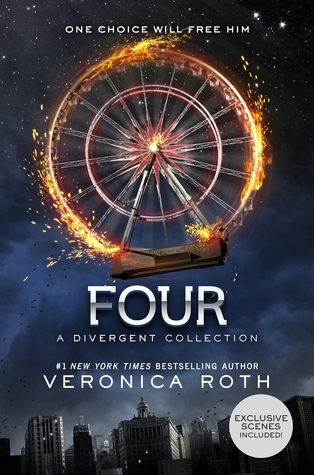 Later, Tris overhears Marcus and the Amity leader, Johanna, discussing something strange, and she corners Marcus and demands to know what they were talking about. Marcus confesses that Abnegation’s leaders died to protect a secret, but he tells her nothing else. This angers Tris. Meanwhile, Tris is having nightmares about how she killed her friend, Will, while he was under a simulation, always realizing how she could have done something else to stop him killing her. This is made worse because she hasn’t confided in anyone, not even Tobias. This book was pretty good, though it did get very confusing at one point, and I had to read it a few times before it made sense. 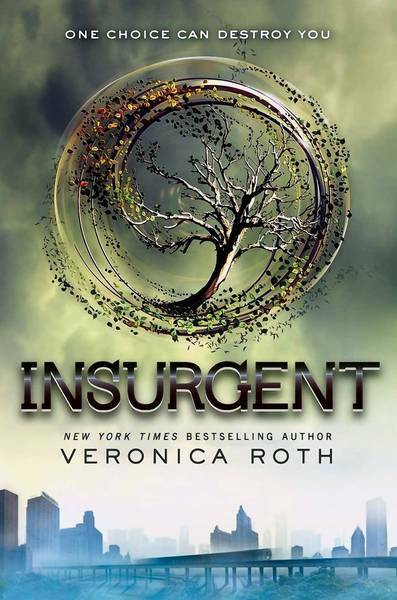 Definitely not as good as Divergent, but it’s worth a read. 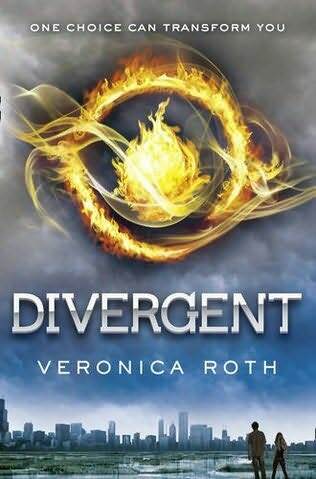 First of the Divergent trilogy by Veronica Roth . Amity: They believe unkindness corrupted the world, and are all very kind. Faction Colors: Red and Yellow. Eritude: Here they believe that knowledge is the most important thing. Faction Color: Blue. Dauntless: They believe weakness is the main problem, so they train to be strong. Faction Color: Black. Abnegation: Here they believe in selflessness being the best quality. Faction Color: Gray. Her examiner, Tori, tells her this means she has aptitude for three factions, not one: Abnegation, Eritude and Dauntless. Tori explains that this is extremely dangerous and that she shouldn’t tell anybody. Beatrice is confused, but agrees. Beatrice chooses her faction at the Choosing Ceremony, and her choice shocks everyone, as does her brother, Caleb’s choice- he chose Eritude. “A new place, a new name. I can be remade here. This is one of the best books I have read. It’s amazing, and I read it cover to cover in an hour! It’s good for ages 11-14. The only problem I have with it is the beginning is slightly slow, and the ending is a bit predictable. But otherwise, it’s awesome! !